Click to Schedule a Lesson Today! Rent and Rent to Own Instruments! Rock Band Summer Camp Sign Ups! Shop at our online music store for guitars, brass & string instruments, drum sets, keyboards & more. Meet our team of talented music instructors and faculty members at Neighborhood Music School. 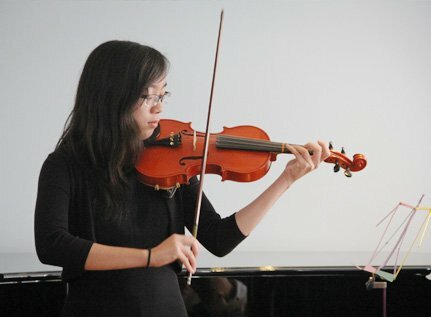 Neighborhood Music School in Arcadia, CA provides music lessons for a wide range of instruments and experience levels. Hear from students and parents why Neighborhood Music School is the best for your music lesson needs. 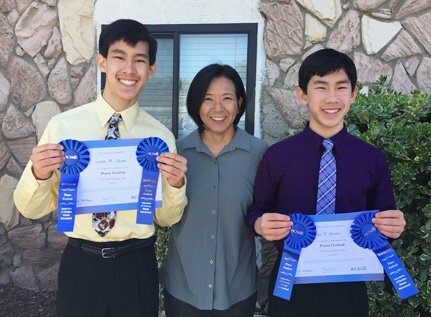 Neighborhood Music School 若邻音乐园地 provides music lessons and summer music camps with recitals and performance opportunities for all ages in the Arcadia CA area. It boasts of some of the highest quality music performers, each with a passion for teaching. With a staff that holds PHD and MA degrees in education, performance awards, and high rated recordings with rave music reviews providing a wealth of playing experience and excellent instruction. 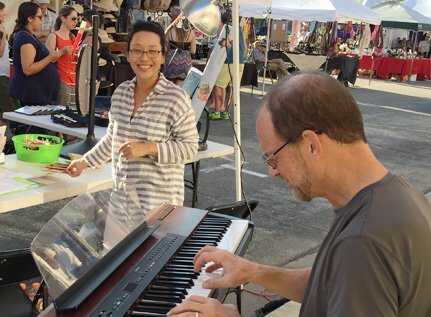 Neighborhood Music was awarded Best Businesses for 2015 & 2016 in Arcadia and boosts a 4.5 Stars on Yelp reviews. 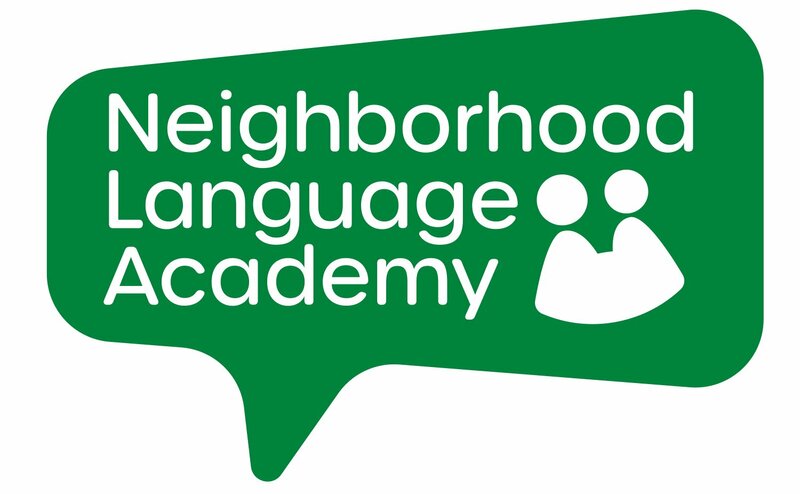 In addition to mandatory English, the language proficiency among teachers includes Cantonese, French, German, Italian, Hungarian, Japanese, Korean, Mandarin, Russian, Spanish, and Tagalog. Located in the heart of downtown Arcadia, our music school and store are accessible to Monrovia, Duarte, Sierra Madre, Pasadena, Temple City, Rosemead, San Gabriel. Just south of restaurant row, our new music studio facilities provide a comfortable environment in a quaint but trendy neighborhood. Lots of free parking and free Wi-Fi while you wait for your lesson. Multiple family members enjoy the convenience of taking lessons at the same location with different teachers. 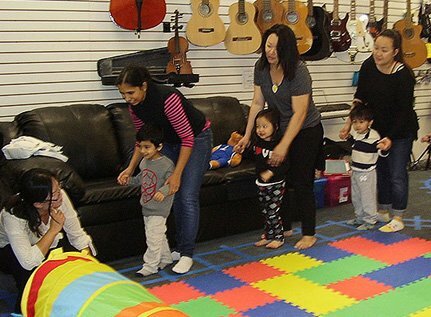 Our Arcadia Kindermusik program provides basic music fundamentals for ages 0-5 from teachers schooled in Yamaha, Suzuki, and Kindermusik methods. Group classes and individual lessons are provided for beginner through advanced levels of piano, voice, guitar, drums, violin, viola, cello, double bass, flute, saxophone, clarinet, trumpet, trombone, tuba, and ukulele. Jazz improvisation and composition classes also are offered for beginners through college level. Neighborhood Music School is committed to provide a fun and enriching environment for your child's first experience with music. Learn about fundamental musical concepts through singing, listening, dancing, and exploring the sounds of music. For students already studying, or who have had exposure to Chinese.